Welcome to Tharsis my friends! 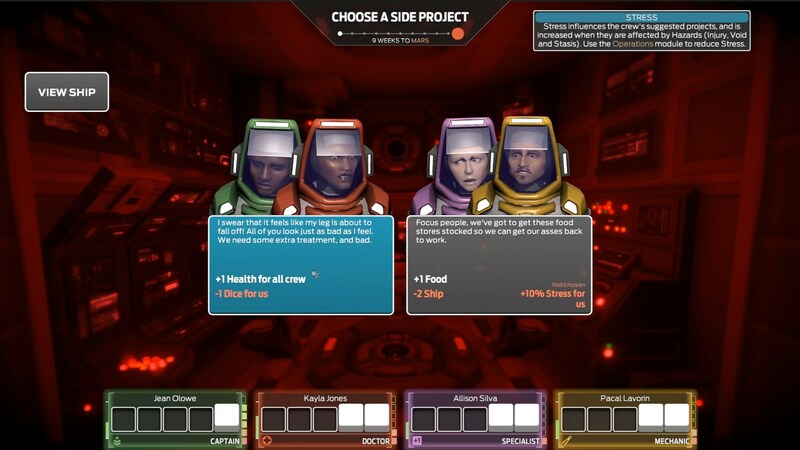 This is a game of crew management using die rolls and crew placement to help keep your ship and your crew alive as long as possible. I’m terrible at games like this, terrible. First, games like this, FTL and so on really twinge some kind of empathetic anxiety I have and give me stress. Serious, exhausting stress. It happened with FTL, and it’s happening with this. I’m not sure how many entries I’ll be able to get through, in all honesty, but I’m gonna try and do at least four. Thanks for sticking with me my friends! Hailing Frequencies Open – 6/5/17 – So. Freaking. Tired. It’s like you can see the stress bars rising on the characters AND on Brian! Previous story Let’s Play Torn Stars: Unstable Space – Entry 1 – What The Everloving Hell?